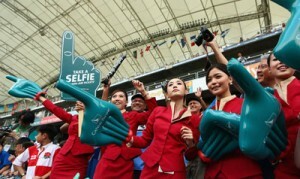 Hong Kong: a destination we know extremely well having for the past 8 years been organising 'Official Ticket Packages' for the Hong Kong Rugby Sevens, in that time we have firmly established ourselves as one of the UK's 'Principle Tour Operators' for this popular event. Over this period we have successfully built a close and trusting working relationship with many leading suppliers in Hong Kong such as Cathay Pacific Airways, a large number of quality hotels and also one of the largest Ground Agents in Hong Kong, Shun Tak Services. 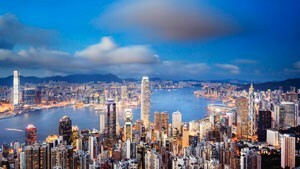 We also have staff with extensive knowledge of Hong Kong. Our services: include organising 'bespoke' holidays for individuals and small groups (1 - 9 people) and also Group Tours (10 or more passengers) by way of our tried and tested and very popular 'Tailor-made Service' giving our Clients total flexibility and as much choice as possible. In short, your Tailor-made Hong Kong Tour or Holiday will be the tour you tell us you want and at a package price you feel comfortable with. Group Tours (10 or more passengers): with well over 25 years within this sector organising tours for sporting groups and social groups to worldwide destinations. All that we require is one point of contact from your group, number of tourists and the sort of budget that you are trying to achieve - we will then do the rest by negotiating with suppliers to get you the best deal possible. 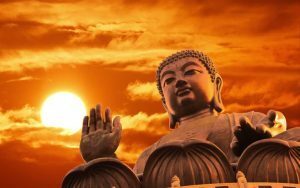 There are lots to do and see in Hong Kong and it's many outlying islands and how much you are able to fit in is only restricted by the duration of your tour. Hong Kong is also renowned for the huge number of restaurants and in the Wan Chai area you will find a number of pubs and nightclubs. A must do is a trip on the Peak Tram, taking you to the highest point in Hong Kong which offers a birds eye view of the Island and Kowloon; Lantau Island is also worth a visit. If it's bargains you want, then the night markets are great fun or you could take a trip to Stanley Market. There are so many variables and options that can affect the final tour price - the number of people travelling, it's duration and even the Airline you fly with and not forgetting the number of activities you would like added to your particular tour. Atlas Group Travel are here to advise and help take the stress out of the organisation process and all we require is one point of contact and we will do the rest. * Return International flights with a choice of Airlines and departure Airports. * Return Airport / Hotel Group transfers with an English speaking guide in attendance. (Groups). * Accommodation throughout your tour in a choice of hotels ranging from basic through to 5 star. * Assistance in the arrangement of match fixtures. (Sports Groups). * Full services of an Atlas Group Travel Representative in Hong Kong. * VAT & local Hong Kong taxes. * Match day transfers for Sports Groups if required. * Private return Airport / Hotel transfers. * Guided excursions to places of interest with an English speaking guide at your disposal. 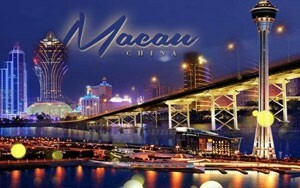 * Day trip to Macau, the Vegas of Asia. * 2 Centre tour: Twin up Hong Kong with Macau, China, Thailand or Vietnam for instance.